Cache Me If You Can Geocaching Game 2nd Edition (DPHCACHE) at Pure Design / Accessories / Home Entertainment ::: Furniture for the Home, Office, Home Office, and More at Pure Design Online! The 2nd Edition of Cache Me If You Can! 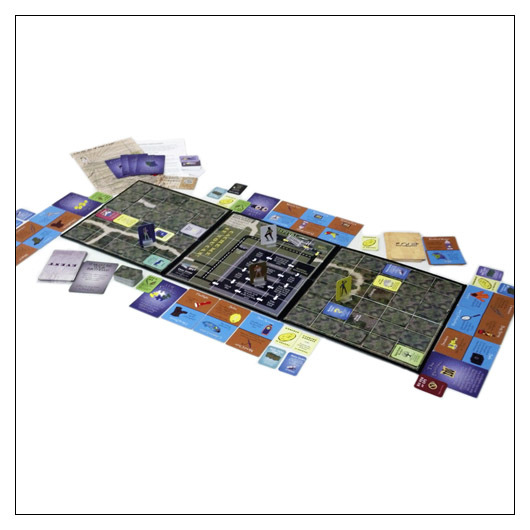 The Geocaching Board game that is easy to learn, fun to play, and never plays the same way twice! The game dynamics change with each board setup. It's all here. Caches, geocoins, hazards, multi-caches, puzzle caches, muggles and even a Swag Store. Just like real geocaching, there are surprises along the way! 2-4 players, 30 minutes-2 hours of play, dependent on number of players. Board game made from cardboard, plastics and small parts. Not recommended for children under the age of 3 due to choking hazard. Sorry, this product is not available until Fall 2019. Please call 800-483-5643 if you would like to pre-order this item.